This 17" heavy duty bonnet is used for cleaning highly soiled traffic areas in carpeting. 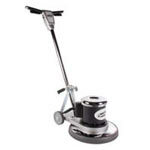 Fits directly onto the pad holders that attach directly to our 17 inch floor buffing machines. 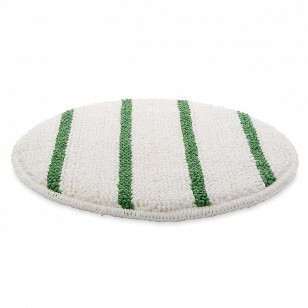 Each bonnet has several green agitation strips that help you to clean extremely dirty areas. If this is not what you're looking for, please feel free to return to our complete selection of floor buffing bonnets. What is great about the carpet cleaning pads is that it allows for the carpet to dry quickly, the price is also great if you use the website.